21st Philadelphia Film Festival Opening Red Carpet with David O. Russell, director of "Silver Linings Playbook" and Matthew Quick, author of the same entitled book. All day Thursday, October 18, 2012, I was feeling out-of-sorts and low on energy, but all that seemed to disappear the moment I stepped up to the press bullpen to take red carpet photos at the Opening of the 21st Philadelphia Film Festival, featuring the opening film - Silver Linings Playbook. Director David O. Russell (The Fighter) was the prime red carpet target, along with the author of the book "Silver Linings Playbook" Matthew Quick. The others pics are of local actors (Brea Bee, Vaughn Goland, Pete Postiglione, Ibrahim Sayid, Kathy Nowrey) who were featured in the film which is set in and filmed all around Philly. Pics also include GPFO Exe Dir Sharon Pinkenson, ABC new anchor Alicia Vitarelli and film's producers Donna Gigliotti and Bruce Cohen. 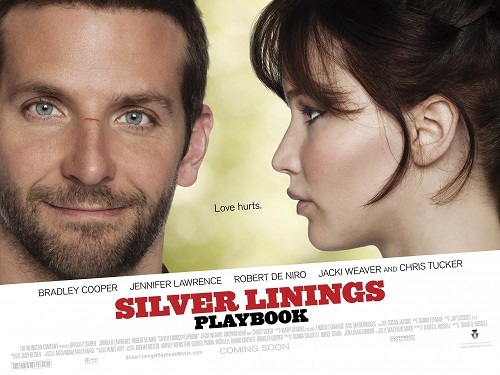 Silver Linings Playbook is a romantic comedy in which the real passion is centered around Philadelphia and the Philadelphia Eagles. Bradley Cooper plays Pat Solitano an Upper Darby native, which translated means he comes from a two parent, middle to low income, homey, neighborhood-y, friends and family oriented lifestyle. Marriage and fidelity is important no matter your background; but it takes on significant importance growing up in this type of environment. So when Pat finds his wife in the shower with a co-worker, gettin it on while their wedding song (Stevie Wonder's "My Cherie Amour,") is playing - he loses it! So much so he's put in a mental hospital for 8 months where it's discovered Pat's been suffering with Bipolar mental illness for years. Pat's mother (Jacki Weaver) without consent from Pat's father (Robert De Niro)gets Pat released from the Baltimore mental facility by vouching responsibility for his actions. Once home Pat is hard to handle and obsessed with getting his wife Nikki (Brea Bee) back. In the midst of all this, he meets another lonely, looney - his best friend's sister-in-law, Tiffany (Jennifer Lawrence). Tiffany suffered a mental and lustful breakdown after the unexpected death of her husband. Although again, she's also had her own share of emotional disorders to deal with even before the death of her beloved Tommy. Adding to the lunacy is Pat's father (De Niro) who's completely immersed in superstitions and obsessive compulsive behavior over the Eagles football team. Which ironically, Pat finds crazy. Although the movie deals with mental health disorders, it's not a dark comedy. It stays mainly upbeat and humorous. There are scenes when Pat's at the height of his mood swings, where close up shots are used and the angles show a frenetic energy, but that's not the tone of the film. I'm always impressed with Bradley Cooper's range as an actor and Jennifer Lawrence is one of my favorite ingenue actresses, but I couldn't picture them together as a couple - really thought Jennifer would play too young ; not the case. From the moment she makes a beeline for Pat with demented tactical precision, the chemistry is set. The impression I got of David O. Russell is a guy who likes to put everyone at ease by seeming to be low key and easily distracted. But I wonder if that's a facade? A large section of the audience was made up of Philly natives who were either extras, lived in the Upper Darby neighborhood or were members of the Cappelletti family who owned the house used as the Solitano home in the movie. Russell talked about how much he loved the experience of scouting locations and getting to know people. He said it was very similar to his experience filming The Fighter in the Boston neighborhood of Lowell. In fact, originally Mark Wahlberg was to play Cooper's role, but the timing didn't work out. Also originally, Pat's favorite player on the Eagles was going to be Hank Baskett, but by filming time had to be changed to DeSean Jackson. Much to Baskett's disappointment. The movie's cast includes people of Indian decent, so it was not only the opening night film for #PFF21, but also opened up the Mumbai, India Film Festival on the same night. 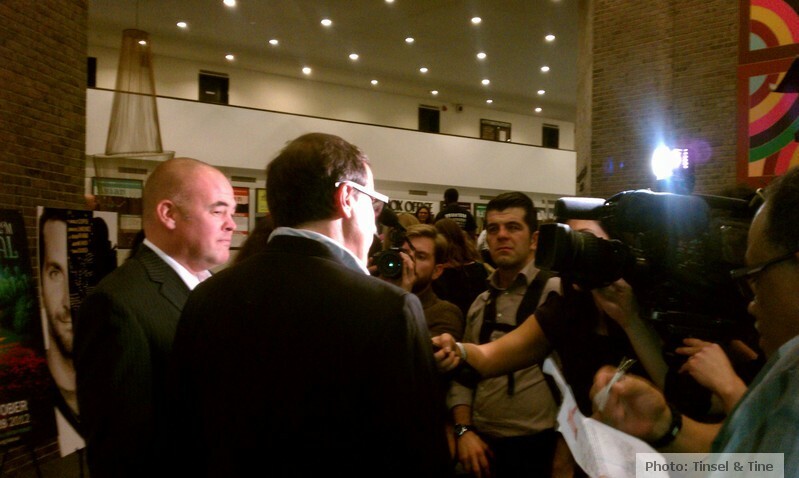 Stay tuned for more Philly Film Fest Recap and Reviews!